:: U L B S :: Acta Universitatis Cibiniensis, Technical Series. Acta Universitatis Cibiniensis, Technical Series. "Acta Universitatis Cibiniensis - Technical Series" provides an excellent support for the dissemination of the scientific research results conducted by professors, PhD students and other researchers. 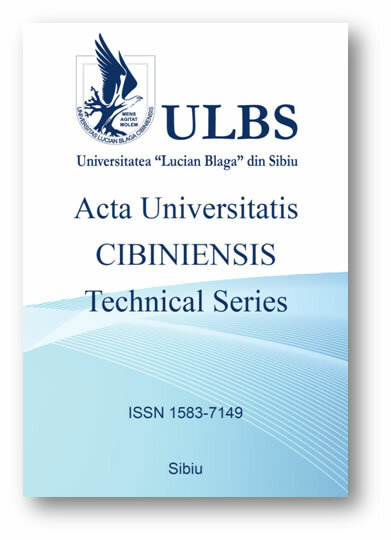 "Acta Universitatis Cibiniensis - Technical Series" was first published in 1997. It first started as a scientific bulletin written in Romanian language and since 1998 submitted papers have been accepted other languages: English, French or German. Since 23.04.2003, after reassessment by CNCSIS, "Acta Universitatis Cibiniensis " appears as Technical Series, ISSN 1583-7149, with an annual English volume.